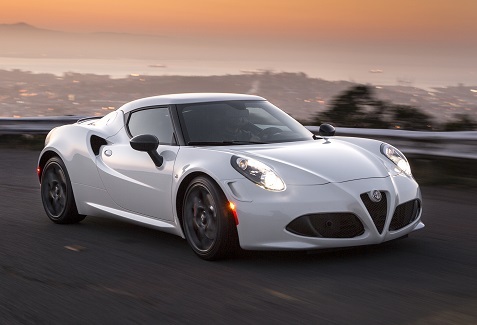 The 2015 Alfa Romeo 4C is different. It’s packaged lightning, and the package is pretty impressive. This Italian-made pocket rocket is the first of a slew of Alfa Romeos headed to this market. And if the 4C is any indication, then there is a new player in the luxury performance game and the engineers from Modena, Italy are to be taken seriously. Our test car was 157.5 inches long, 73.5 inches wide, and at 46.6 inches, it wasn’t even four feet tall. That meant we had to slide down into the 4C, and it was almost like sliding down into a not-so-shallow bathtub, and then had to climb our way back out. If ever there was a pretentious test for friends, female and male alike, getting into and out of the Alfa Romeo 4C is it. But the slide into the tub was worth it. The Alfa Romeo 4C is a palpitating piece of machinery. One of the great advantages wine lovers have in the United States is diversity. We have access to wines from all over the world. Certainly some countries and regions represent stronger than others, but more join the party every year. Among those creeping up in visibility and availability in recent years are the wines of Greece. There’s a lot to like with Greek wine. Most importantly for me is that taken as a piece, they tend to be high acid wines that are eminently food friendly. If you’re a wine lover you’re probably pretty interested in what you’re eating too. There are Greek wines perfectly suited for just about any type of cuisine, so don’t get stuck in the idea of needing to pair Greek wines with Greek foods; experiment and you’ll find the matches that work best for you. Here are four offerings from Greece that I recently tasted that hit the spot. Give one or more of them a try with dinner tonight; it might just be a revelation. This white wine from Santorini is composed entirely of Assyrtiko. The fruit comes from the most traditional vineyard on the island which is also the oldest in Greece. It was never affected by phylloxera and it sits on its own root stock. Lemon zest, rosemary and thyme aromas are evident on the wonderfully buoyant nose, while sour yellow melon and a who’s who of citrus flavors dominate the palate. Limestone, graphite and bits of clementine emerge on the crisp, dry and refreshing finish. This is a steal for the price. Pair this with light appetizers, creamy cheeses, entrée salads and the like. It’s going to be hard to beat the value here as an everyday white. This white wine is composed entirely of Malagouzia. All of the fruit was sourced in the Peloponessos region. Orchard fruits, yellow flower and linseed oil aromas are present on the nose here. The palate is studded with a ton of Granny Smith apple notes as well as wisps of white pepper and white peach flavors. Lemon and lime elements, mineral and continued spice notes dominate the above average finish. This wine will pair well with light foods and it’s also delicious sipped on its own. This blend is composed of Kotsifali (60 percent) and Syrah (40 percent). The average age of the vines the fruit was sourced from is 26 years. This is a small, family winery and the second generation is now deeply involved in many aspects of the business. Red cherry, mushroom and sage aromas light up the nose of this red blend. The palate is filled with dried red and black fruits of all kinds, but cherry characteristics dominate. Earth, black pepper and hints of anise are all part of the impressive finish. It has absolutely killer acidity. This wine will pair well with an absolutely astounding array of foods. It’s tasty right out of the bottle, but if you have time, decant it for 45 minutes, because it really blossoms with some air. This offering is composed of Limnio (50 percent), Mavroudi (30 percent) and Mavrotragano (20 percent). The winery was established in 1981, and today, they have 54 hectares (about 133 acres) under vine dedicated to a combination of indigenous and international varieties. Mushroom and savory herb aromas lead the nose here, followed by red and black plum aromas. Bits of toast emerge on the palate where black fruits lead the charge along with copious spice notes. Subtle bits of tar, minerals, smoked meat elements and dusty baker’s chocolate lead the long and very expressive finish. This wine is delicious today, but will age well for the next six to eight years. It’s particularly suited to pair with roasted meats and hard cheeses. It has impressive depth and complexity that will please a wide array of wine lovers. These wines are just the tip of the iceberg when it comes to Greece. So get out of your Chardonnay and Cabernet routine and try some indigenous Greek wines; they might just blow your mind! WHAT: When his wife is kidnapped by a tribe of cave-dwelling cannibals, Arthur O’Dwyer (Patrick Wilson) joins Sheriff Franklin Hunt (Kurt Russell), “backup deputy” Chicory (Richard Jenkins) and gunslinger John Brooder (Matthew Fox) on a perilous mission to rescue her. WHY: S. Craig Zahler’s directorial debut has divided audiences since premiering at Fantastic Fest earlier this year, and it’s easy to see why. Though it boasts a solid cast and an intriguing premise, “Bone Tomahawk” is poorly executed, marred by some amateurish direction and terrible pacing. The film is a slow burn in the worst possible way, failing to utilize the quieter moments to build suspense or further develop the characters. In fact, apart from their names and some general background info, there’s very little character development at all, which makes it difficult to care what happens to any of them. The unexpected genre shift from Western to horror in the final act is even more disconcerting, almost as if Eli Roth took over directing duties midway through production, and although it’s a unique twist, it doesn’t quite pay off. “Bone Tomahawk” had the ingredients to be a fun little genre movie, but apart from Kurt Russell’s grisly performance and some excellent comic relief from Richard Jenkins, it never quite comes together. EXTRAS: In addition to a Q&A with director S. Craig Zahler and the cast from the film’s premiere at Fantastic Fest, there’s a short making-of featurette and a deleted scene. WHAT: A genetically engineered assassin known only as Agent 47 (Rupert Friend) teams up with a mysterious woman (Hannah Ware) to track down her father – the creator of the Agent program – before the sinister organization Syndicate International finds him first. 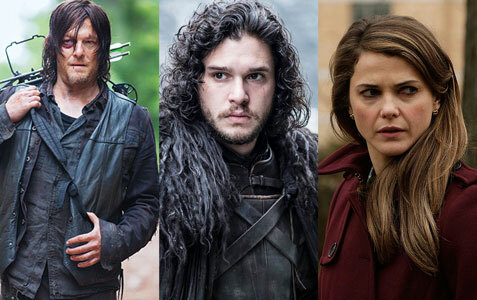 WHY: After unsuccessfully adapting the popular “Hitman” video game series with the 2007 film of the same name, 20th Century Fox decided to give it one more go by rebooting the franchise with a brand new cast. (Sound familiar?) But while “Hitman: Agent 47” is an improvement on its predecessor, the first movie was so awful that it’s like comparing a rotten apple to a slightly less rotten apple. Though the film does a better job of capturing the spirit of the “Hitman” franchise with violent, stealth-based action sequences, it’s bogged down by a cheesy and predictable script that shackles its titular character to Hannah Ware’s human MacGuffin for no other reason than because Agent 47 would be an emotionally detached bore on his own. This is the kind of movie that keeps making up rules as it goes along, praying that it will all make sense in the end, and while it will likely deliver some thrills for fans of the video game, they’d be better off playing the real thing. EXTRAS: There’s a brief making-of featurette, a look at the stunts, an onscreen counter of all the movie’s kills, some deleted scenes and more. WHAT: Unable to pay his daughter’s growing medical bills, casino dealer Vaughn (Jeffrey Dean Morgan) partners with a hotheaded co-worker (Dave Bautista) to rob their gangster boss, Pope (Robert De Niro). But when the heist goes horribly wrong, they hijack a city bus filled with hostages in order to fend off the police and Pope’s right-hand man (Morris Chestnut). WHY: Robert De Niro may be choosing better scripts these days, but he’s not immune to appearing in bad movies, as evidenced in this direct-to-video thriller that plays like a mix between “Speed” and “John Q.” Director Scott Mann and writer Stephen Cyrus Sepher have created an incredibly predictable crime flick that uses just about every cliché in the book, from the desperate father trying to save his child, to the villain with a crisis of conscience. There’s even a twist ending that, no matter how clever it may seem in the moment, doesn’t make a shred of sense. Of course, neither does the fact that the hostages are more than willing to help the robbers despite not knowing any of the details regarding Vaughn’s situation. It’s an illogical mess made even worse by some second-rate acting and a lack of genuine thrills. De Niro and journeyman actor Jeffrey Dean Morgan class up the film just enough to make it watchable, but “Heist” isn’t nearly as exciting as it could have been. EXTRAS: There’s an audio commentary by director Scott Mann, writer Max S. Adams and actor Jeffrey Dean Morgan, as well as a making-of featurette, additional cast and crew interviews, and deleted scenes.